Herbert Street residents facing sidewalk bills of $3000 to $4,000 dollars descended on city hall this evening to express their opinions on the matter. All the residents were unhappy that they were not notified by mail of the construction, or given an estimate of what their portion of the cost might be. Most were also miffed that the bill would be rolled into their taxes over a 10-year period at 5% interest, with a lien placed on the mortgage for the duration of the loan. One resident contended that this would make it difficult to get a home improvement loan. 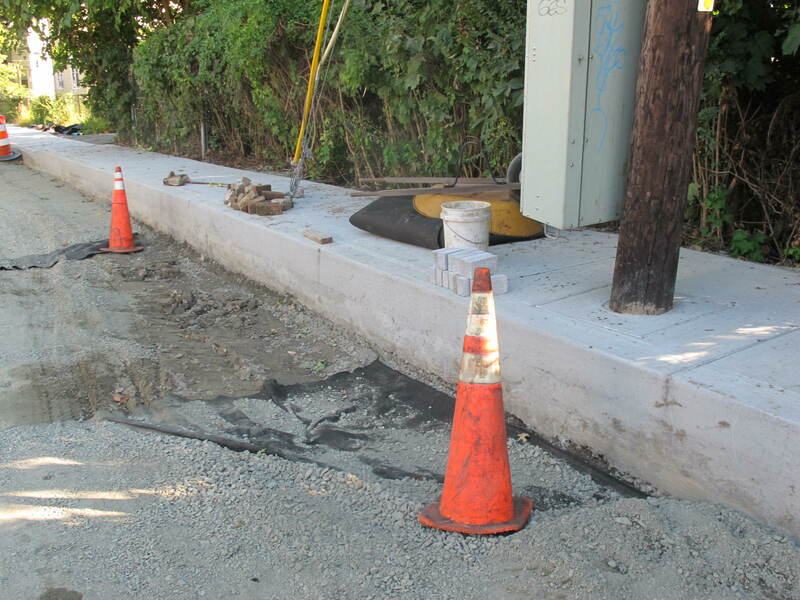 § 191-12.3 Installation of curbs and sidewalks; liability for costs. Where the Highway Superintendent has determined that an existing City street, avenue or public place, including a municipal parking lot, in a public right-of-way running along the front, side or rear yard of any privately owned real property shall be repaved, modified or repaired such that curbs and/or public sidewalks shall be installed, the owner of said real property shall be responsible for a portion of the cost. Fifty percent of the cost of installing the curbing and/or public sidewalk shall be paid by the property owner. The City shall be responsible for paying the balance of this cost. The City Council shall, in its annual budget, allocate sufficient funds to finance the installation of these curbs and/or sidewalks, which shall be repaid by the property owner, with interest, over a ten-year period. This loan shall become a lien against the property and shall be repaid in full in the event the property is sold or transferred. The city currently has no specific procedures in place to notify residents of infrastructure work on roads and sidewalks. 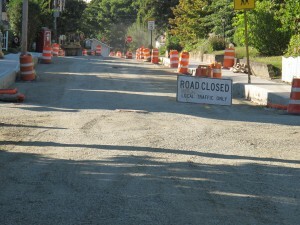 All road construction is listed in the capital plan each year. Both the city administrator and the mayor apologized to Herbert Street residents for the lack of communication. The administrator added that “although we can’t make it right in terms of cost” they would make sure to give notification in the future. As with any road project that includes sidewalks, Oak Street residents will be getting a bill from the city once the work is complete. The mayor said he wanted the council to look at procedure in the next workshop. Residents living on Oak Street, with work nearing completion, have received estimates from the City. Residents of Rombout Avenue, scheduled for 3.5 million dollars worth of work next year, have also been notified by the administration, with a public forum planned to discuss various options. The real issue here would seem to be, why are residents required to pay half of the sidewalk cost? Would it not then be logical to charge us for half of the road cost as well? Despite the fact that residents are required to maintain the sidewalk and are responsible for snow removal, it is public infrastructure. In fact, the City owns not only the sidewalk but has rights to at least several feet of a homeowner’s property frontage. All Beacon residents are expected to pay for the pavement we drive our cars on, but when it comes to places where we walk, we must pay half if it’s in front of our house. No wonder our city is a hodgepodge of sidewalks to nowhere. 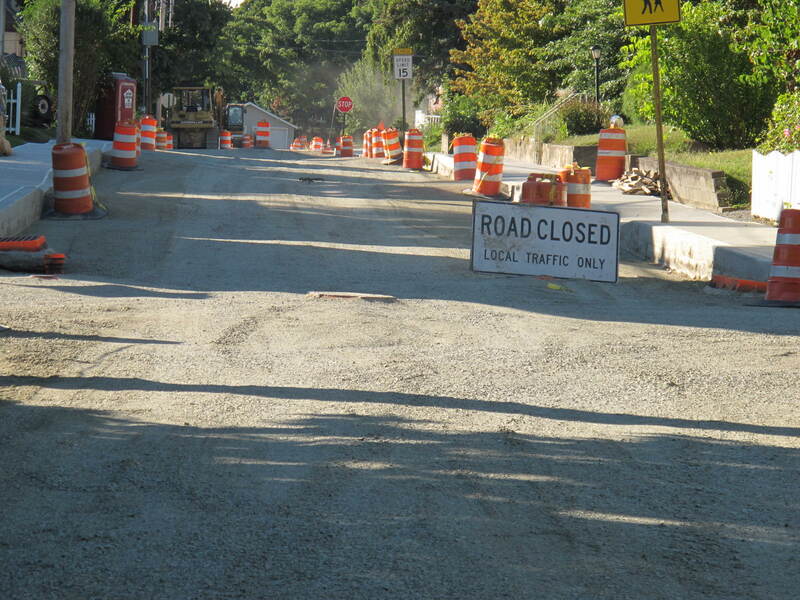 As we noted a few weeks back, the city road engineer suggested a way to save $400,000 on the Rombout reconstruction. Let’s keep looking for these types of savings, and apply them to public sidewalk infrastructure. It seems like priorities are a bit skewed when cars get a free pass but we make homeowners pay for safe streets. It’s also unfair. A homeowner could live on a street for fifteen years that never gets new sidewalks, while a newcomer moves to Oak Street and gets nailed for a couple grand. It’s like playing the lotto. If we continue to follow this logic, why not make homeowners living on dead end streets pay for the entire roadway? A main objective of our comprehensive plan is to create a more walkable, bikeable city. This planning emphasis on walkability has been proven time and again to increase the economic vitality of a municipality. In other words, a good sidewalk system pays for itself. It may be time to rethink the sidewalk ordinance and pay for pedestrian infrastructure the same way we pay for our roads, all for one and one for all. To do it any other way puts an unfair burden on certain residents while also discouraging safer streets and a comprehensive, sensible system for walking to and from Main Street, parks, schools, jobs, bus stops, the train station, and homes. Feature photo: New sidewalks on Oak Street, with lots of asphalt to come. It seems to me that, as Mark said, the basic premise of the homeowner paying any part of the cost of sidewalk replacement, is the question. Council persons should be proposing an amendment to that part of the Code § 191-12.3 “Installation of curbs and sidewalks; liability for costs.” which returns responsibility for sidewalks to the overall tax revenue not the adjacent homeowners. The notion that the property owner owns the sidewalks is archaic. And what about those of us with no sidewalk? We don’t pay anything, but we walk on everyone else’s new sidewalks. hmmmm? The notion that the property owner owns the sidewalk is not archaic; rather it’s a fairly recent trend designed to cut municipal costs, ie, taxes. It’s a good example of why cutting taxes often doesn’t work so well as a money-saving measure. This article has made me more aware of how city government just takes charge of informing us when they feel like it and to do something as underhanded as presenting the residents with a bill after the fact is disgraceful ! I think the City Road Engineers, and the Highway superintendent and should provide the city council with plans for each year to determine what monies are needed for infrastructure work that is in the worst condition and possibly provide a plan to incorporate this expense in our overall taxes. In any and al cases there should be a hearing on passing on those expenses to residents. Actually, city government informs more than when they feel like it, but it does require a bit of active participation by interested citizens. The council, in public, televised meetings, goes over the capital plan each year. This includes road work for not only the current year but several years in the future, along with specific reports by the road engineer and the head of the highway department. The city code regarding sidewalk costs to residents has been on the books for a decade. That said, the city did drop the ball regarding a heads-up to residents on Herbert. Still, it’s too bad that during a year-long reconstruction project, none of the 16 homeowners was curious enough to look into what was going on. But as stated in the post, it’s unfair and bad planning to charge individuals for sidewalks. All city work is put out to bid and awarded to the lowest responsible bid. This cannot be characterized as a slush fund, since all the money is going to pay for the sidewalk. Regarding the “true cost,” that’s what you get when you outsource everything–the company contracted to do the road work will be making money, and probably a good amount. Unfortunately, like many governments, Beacon got rid of most of its highway department personnel in order to “save money.” If we had the manpower, we could not only do the work with a smaller budget, but we would also a. employ local citizens, and b. they would spent a portion of that money in town.